This article is about the Organisation. For the quality of speaking French, see Francophonie. Deliberately alluding to France's motto. The Organisation internationale de la Francophonie (OIF), generally known as the Francophonie (French: La Francophonie [la fʁɑ̃kɔfɔni]),[note 1] but also called International Organisation of the Francophonie in English language context, is an international organization representing countries and regions where French is a lingua franca or customary language, where a significant proportion of the population are francophones (French speakers), or where there is a notable affiliation with French culture. The modern organisation was created in 1970. Its motto is égalité, complémentarité, solidarité ("equality, complementarity, and solidarity"), a deliberate allusion to France's motto liberté, égalité, fraternité. Starting as a small club of northern French-speaking countries, the Francophonie has since evolved into a global organization whose numerous branches cooperate with its member states in the fields of culture, science, economy, justice, and peace. The convention which created the Agency for Cultural and Technical Co-operation (Agence de Coopération Culturelle et Technique) was signed on 20 March 1970 by the representatives of the 21 states and governments under the influence of African Heads of State, Léopold Sédar Senghor of Senegal, Habib Bourguiba of Tunisia, Hamani Diori of Niger and Prince Norodom Sihanouk of Cambodia. Based on the sharing of the French language, the missions of this new intergovernmental organization are the promotion of the cultures of its members and the intensification of the cultural and technical cooperation between them, as well as the solidarity and the connection between them through dialogue. The Francophonie project ceaselessly evolved since the creation of the Agency for Cultural and Technical Co-operation, it became the intergovernmental Agency of the Francophonie (Agence intergouvernementale de la Francophonie) in 1998 to remind its intergovernmental status. Finally in 2005, the adoption of a new Charter of the Francophonie (la Charte de la Francophonie) gives the name to the Agency of international Organisation of the Francophonie (Organisation internationale de la Francophonie). The position of Secretary-General was created in 1997 at the seventh leaders' summit held in Hanoi. Canadian Jean-Louis Roy was secretary of the Agence de coopération culturelle et technique from 1989 until the formal creation of the Agence intergouvernementale de la Francophonie in 1997 with former Secretary-General of the United Nations Boutros Boutros-Ghali as the first secretary-general of La Francophonie. Abdou Diouf, the former president of the Republic of Senegal, became Secretary General on January 1, 2003. He was reelected on 29 September 2006, for a second mandate during the Summit of the Francophonie of Bucharest, and elected again in 2010 at the Summit of the Francophonie of Montreux for another mandate which ran until 31 December 2014. At the 2014 summit in Dakar, former Governor General of Canada Michaëlle Jean was chosen to lead the organization starting in January 2015. The Secretary General of the Francophonie is elected during the Summit, and serves as the spokesperson and the official representative internationally of the political actions of the Francophonie. The Secretary General is responsible for proposing priority areas for multilateral Francophonie actions. His/her job is to facilitate Francophone multilateral cooperation and to ensure that programs and activities of all operating agencies work in harmony. The Secretary General carries out his/her four-year mandate under the authority of the three main institutions of the Francophonie: the Summits, the Ministerial Conference and the Permanent Council. The Summit, the highest authority in the Francophonie, is held every two years and gathers the Heads of states and governments of all member countries of the International Organisation of the Francophonie around themes of discussion. It is chaired by the Head of state and government of the host country, and this person assumes that responsibility until the next Summit. By enabling the Heads of state and government to hold a dialogue on all of the international issues of the day, the Summit serves to develop strategies and goals of the Francophonie so as to ensure the organisation's influence on the world scene. Forty-one countries and governments were represented. The conference was an effort to establish ongoing consultations on major issues of the day. It affirmed the role of the French language as a modern tool for progress and intercultural dialogue and sought to convey Francophone solidarity through concrete programs with broad appeal. Established areas of cooperation and the strengthening of solidarity among the countries and governments that participated in the Paris Summit. La Francophonie's priority areas were confirmed as agriculture, energy, scientific and technological development, language, communication and culture. The Institute of Energy and Environment of La Francophonie, based in Quebec City, and the Francophone Business Forum, a non-governmental organization of French-speaking business people, were created. Meeting agreed to initiatives in education and training, the environment, and legal and judicial cooperation and confirmed the role of the Agence de Coopération Culturelle et Technique as the principal operating agency and the key instrument of La Francophonie as a multilateral organization. During the summit, French President François Mitterrand announced the cancellation of the debt of thirty-five African countries to France. The establishment of Senghor University in Alexandria, Egypt, was also agreed to. Nearly 50 countries and governments from all five continents attended. The Ministerial Conference of La Francophonie and the Permanent Council of La Francophonie were created, and the role of the ACCT as the secretariat of all of the organization's institutions was confirmed. Leaders importance of economic issues, calling for increased cooperation among Francophone business communities. Summit agreed to create the position of Secretary General and transform the Agency for Cultural and Technical Cooperation (ACCT) into the Intergovernmental Agency of La Francophonie (AIF), and to establish the position of chief executive to manage it. Heads of State and Government decided to focus the operating agencies' activities on the five major cooperation programs of La Francophonie: 1) freedom, democracy and development; 2) culture and communications; 3) knowledge and progress; 4) economics and development; and 5) La Francophonie in the world. This summit also underscored the promotion of cultural diversity as more legitimate and necessary than ever, ascribing it a role in promoting peace. Revised Charter was implemented and Boutros Boutros-Ghali was appointed the first secretary general. The summit's main theme was economic cooperation, however the Heads of State and Government also agreed to focus their efforts on peace and conflict prevention in member countries. In addition, they resolved to cooperate with the international community in protecting human rights. The summit's main theme was youth. Two secondary themes, the economy and new technologies, were also discussed. In Moncton, the Heads of State and Government also decided to hold three sectoral conferences in preparation for the following summit: 1) a symposium assessing democratic practices, rights and freedoms in the French-speaking world, to be held in Bamako, Mali; 2) a ministerial conference on culture, in Cotonou, Benin; and 3) the first Women of La Francophonie conference, in Luxembourg. Theme of the summit was Dialogue of Cultures. Issues relating to the Middle East were addressed. The Heads of State and Government made a commitment to implement the Bamako Declaration on democracy, good governance and human rights. The summit also indicated support for UNESCO's cultural diversity principle that entrenches the right of states and governments to maintain, establish and develop policies in support of culture and cultural diversity. Senegal's former president Abdou Diouf was elected Secretary General. Summit theme was "La Francophonie: a Space of Solidarity for Sustainable Development." A ministerial conference on conflict prevention and human security was held concurrently in St. Boniface, Manitoba and adopted the very first ten-year strategic framework for La Francophonie, which henceforth defines its four main missions: 1) promoting the French language and cultural and linguistic diversity; 2) promoting peace, democracy and human rights; 3) supporting education, training, higher education and research; and 4) developing cooperation to ensure sustainable development and solidarity. Summit theme was “Information Technologies in Education”. Heads of state and government passed five resolutions on 1) the Global Digital Solidarity Fund; 2) dumping of toxic waste in Abidjan, Côte d'Ivoire; 3) international migration and development; 4) the positioning of a UN force in the Central African Republic; and 5) climate change. The Ministerial Conference of La Francophonie approved a guide on the use of the French language in international organizations. The Secretary General of La Francophonie, Abdou Diouf, was re-elected for a four-year term. Held as part of the 400th anniversary celebration of the founding of the city of Québec. The world financial and food crises were discussed and environmental talks were held. Heads of state and government expressed their support for the initiative to hold a global summit on the financial crisis and the reform of the international economic system. They also pointed out that the financial crisis should not overshadow the food crisis and be resolved at the expense of developing countries. Issues discussed included climate change, food and economic crises, and problems related to biodiversity, water and forests. Montreux Declaration on the vision and future of the Francophonie was agreed calling for the organization to take a role in global governance and to support sustainable development, food security and biodiversity and combat climate change and to also support French language and education. Resolutions were passed on: 1) piracy; 2) counterfeit or expired pharmaceuticals; 3) transborder crime in Africa; 4) terrorism; 5) flood-affected countries; 6) the reconstruction of Haiti; 7) countries in crisis, crisis recovery and peacebuilding; and finally, 8) the 10th anniversary of the Bamako Declaration, entrenching the political role of La Francophonie. The Summit confirmed the re-election of Secretary General Abdou Diouf for a third four-year term. The theme of the Summit was “La Francophonie, Economic and Environment Issues in the face of Global Governance”. Resolutions were passed on 1) the situation in Mali; 2) the situation in the DRC; 3) piracy in the Gulf of Guinea; 4) good governance of the extractive and forest industries ; and 5) crisis situations, crisis recovery and peacebuilding in La Francophonie. Summit theme was “Women and Youth in La Francophonie: Agents for Peace and Development”. Michaëlle Jean was elected Secretary-General. Heads of State and Government readdmited Guinea-Bissau, Madagascar and Mali, and to accept emembership applications from Costa Rica, Mexico and Kosovo as observers of La Francophonie. Resolutions were passed on Maternal, Newborn and Child Health; the Ongoing Ebola Virus Epidemic in West Africa and the Risks of It Spreading through the Francophonie; Crisis Situations, Crisis Recovery and Peacebuilding in La Francophonie; Terrorism; the UNESCO Convention on the Protection and Promotion of the Diversity of Cultural Expressions; Education and Training of Women and Youth in the Digital Age; Financial and Banking Education; Counterfeit Drugs and Medical Products; and the Promotion of Sustainable Tourism in Small Island Developing States. The theme of the summit was “Shared Growth and Responsible Development: Conditions for Stability Around the World and within the Francophonie". The Summit addressed crisis and consolidation of peace in the Francophone world including questions of security and responding to Daesh [ISIS] and its affiliates in Africa, the promotion of gender equality, the empowerment of women and girls, the prevention of extremism, and the vocational and technical training, energy, the promotion of linguistic diversity, the situation of children, local development, environment, dialogue between cultures as a factor of sustainable development, road safety and the blue economy. Canadian prime minister Justin Trudeau raised the issue of LGBT rights. The Canadian province of Ontario was granted observer status in the organisation. Michaëlle Jean sought a second four-year term as Secretary-General but was defeated by Rwandan foreign minister Louise Mushikiwabo who was chosen as the consensus candidate. Saudi Arabia withdrew its application for observer status after its bid was opposed due to criticisms of the lack of human rights in the country and concerns over the disappearance of journalist Jamal Khashoggi, while Ghana was promoted from associate to full membership. The summit adopted declarations on the organisation's budget, equality between men and women, and other issues. Tunisia is to host the next summit in 2020. The Ministerial Conference of the Francophonie gathers the foreign or francophone affairs ministers of member states and governments every year to ensure the political continuity of the Summit. This conference ensures that the decisions made during the previous Summits are carried out and to plan the next Summit. It also recommends new members and observers to the Summit. The Permanent Council of the Francophonie gathers the Ambassadors of the member countries, chaired by the General Secretary of the Francophonie and under the authority of the Ministerial Conference, its main task is to plan Summits. This conference also supervises the execution of the Summit decisions made by the ministerial conferences on a day-to-day basis, about the examination of the propositions of the budget distribution. The objectives of the Parliamentary Assembly of the Francophonie are to represent to the French-speaking authorities, the interests of the French-speaking communities, to promote the democracy, the rule of law and the respect of human rights. Furthermore, it follows the execution by the operators of the Francophonie of action plans elaborated by the Conference of the members using French as a common language It also favours the cooperation and strengthens the solidarity within the French-speaking communities, mainly towards the parliaments of the South. The Parliamentary Assembly of the Francophonie is constituted by member sections representing 77 parliaments or interparliamentary organizations. The Secretary General is the French senator Jacques Legendre. The Agency of the Francophonie is the main operator of the cultural, scientific, technical, economic and legal cooperation programs decided at the Summits. It is also the legal seat of the Secretary General and is used by him as an administrative support. The agency also contributes to the development of the French language and to the promotion of the diverse languages and cultures of its members, while encouraging mutual understanding between them and the Francophonie. For this reason, it is a place of exchange and dialogue and its simultaneous in Francophone countries. The Agency's headquarters are in Paris and it has three regional branches in Libreville, Gabon; Lomé, Togo; and Hanoi, Vietnam. Members of and participants in the Francophonie. In addition to countries, Belgian and Canadian subdivisional memberships are also represented, in dark blue. Mauritania's membership was suspended on 26 August 2008, pending democratic elections, after a military coup d'état. Madagascar's membership was suspended in April 2009 due to unconstitutional transfer of power on 17 March 2009. 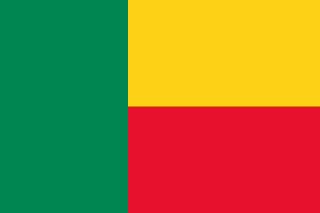 Mali's membership was also suspended in March 2012 due to a coup d'état, and then the Central African Republic was suspended for instances of la Francophonie at the 88th session of the CPF (March 2012), as well as Guinea-Bissau on 18 April 2012 for the same reason. Thailand, an observer nation, was suspended in 2014 following the 2013–14 political crisis. Although Algeria has one of the largest French-speaking communities in the world, it is not a member of the Organization of the Francophonie. The International Organization of the Francophonie relies on five operating agencies to carry out its mandate: l’Agence Universitaire de la Francophonie (AUF); TV5Monde; l’Association Internationale des Maires Francophones (AIMF); l'Association des Fonctionnaires Francophones des Organisations Internationales (AFFOI); and l’Université Senghor d’Alexandrie. Established in 1961 in Montreal, the Association of Francophone Universities gathers institutions of higher education and research among the Francophone countries of Africa, the Arab world, Southeast Asia, Central and Eastern Europe, and the Caribbean. Its mission is to contribute to the construction and consolidation of a scientific space in French. It supports the French language, cultural and linguistic diversity, law and democracy, and the environment and sustainable development. It also provides an important mobility program for the students, the researchers and the professors. Established in 2008 in The Hague, the Assemblée des francophones fonctionnaires des organisations internationales (AFFOI) gathers international civil servants from all international organisations of the world—such as United Nations, the European Commission of the African Union—and coming from the member countries of the Francophonie. Its mission is to support the French language and the linguistic diversity within International Organisations. Every year the association coordinates the day of French language within International Organisations. It also organizes seminaries to increase awareness about the importance of linguistic, cultural and conceptual diversity. The president is the French international civil servant Dominique Hoppe. TV5Monde is the first international French language television network, available in many countries. On television and online the audience of TV5Monde has grown rapidly. TV5 is one of the three largest television networks in the world (along with the BBC and CNN), and is considered one of the greatest achievements of the Francophonie. It provides wide access to original television programmes in French, and contributes to the development of the language and French-speaking cultures. It broadcasts the different forms of the French language spoken around the world, with all their accents. It reaches beyond native speakers of French; the majority of those who can receive it and part of its audience comprise viewers for whom French is not the mother tongue. Thanks to subtitles in various languages, it provides access to the Francophonie to non-French speakers - it is translated into 12 languages. The International Association of French-speaking Mayors was created in Quebec City in 1979 on the initiative of Jean Pelletier and Jacques Chirac, then the respective mayors of Quebec City and Paris. It is an operating agency for urban development gathering 48 countries or governments. The goal is to establish close cooperation in all areas of municipal activities. Its missions are to strengthen local democracy, building municipal capacities, and to support the populations. The association pursues its actions in the domains of health, culture, youth and education, urban development, training, and municipal infrastructures. The project of creating a French-speaking university in the service of African development was presented and adopted following the Dakar Summit in 1989. The Senghor University is a private postgraduate institution that trains managers and high-level trainers in areas that are a priority for development in Francophone Africa. It directs the capacities of the managers and trainers to the action and the exercise of responsibilities in certain domains for the development: the project management, the financial institutions, the environment, the nutrition-health and of the cultural heritage. The Senghor University organizes regularly seminaries to help its students and of the public specialized in the domains of its action, by collaborating with the other operators and the institutions of the Francophonie. The International Organization of the Francophonie leads political actions and multilateral cooperation according to the missions drawn by the Summits of the Francophonie. The Summits gather the Heads of states and governments of the member countries of the International Organization of the Francophonie where they discuss international politics, world economy, French-speaking cooperation, human rights, education, culture and democracy. Actions of the International Organization of the Francophonie are scheduled over a period of four years and funded by contributions from its members. The Charte de la Francophonie defines the role and missions of the organization. The current charter was adopted in Antananarivo, on 23 November 2005. The summit held in Ouagadougou, Burkina Faso on 26–27 November 2004 saw the adoption of a strategic framework for the period 2004–2014. Promoting French language and cultural and linguistic diversity. Promoting peace, democracy and human rights. Supporting education, training, higher education and scientific research. Expand cooperation for sustainable development. The primary mission of the organization is the promotion of the French language as an international language and the promotion of worldwide cultural and linguistic diversity in the era of economic globalization. In this regard, countries that are members of the Francophonie have contributed largely to the adoption by the UNESCO of the Convention on the Protection and Promotion of the Diversity of Cultural Expressions (20 October 2005). At the national level, there is the problem of promoting the French language within the context of its co-existence with other partner or international languages in most member countries, especially in Africa. Maintaining the relative importance of the status of French is an imperative that requires solidarity and the pooling of means and resources among countries committed to the French language within their respective societies. The Francophonie has been a pioneer in terms of the recognition of cultural diversity and dialogue of cultures. It must find ways of confronting the trend towards uniformity that accompanies globalization and fostering the preservation and development of cultural diversity. Similar to the Commonwealth of Nations, the Francophonie has as its stated aims the promotion of democracy and human rights. Following the 3 November 2000 Déclaration de Bamako, the Francophonie has given itself the financial means to attain a number of set objectives in that regard. The Francophonie intends to contribute significantly to promoting peace, democracy and support for the rule of law and human rights by focusing on prevention. Political stability and full rights for all, the subject of the Bamako declaration, are considered key to sustainable development. The Francophonie has chosen to provide its member countries with access to the expertise of its extensive intergovernmental, institutional, academic and non-governmental network with a view to building national capacities, resolving conflict and providing support for ending crises. In recent years, some participating governments, notably the governments of Canada and Quebec, pushed for the adoption of a Charter in order for the organization to sanction member States that are known to have poor records when it comes to the protection of human rights and the practice of democracy. Such a measure was debated at least twice but was never approved. The International Organization of the Francophonie aims at connecting the various peoples using French as a common language through their knowledge. Education, like access to autonomy and information for all, begins with all children having access to a full primary education free of any inequality. It involves an integrated approach of teaching and training from primary to secondary school that will lead to employment. Education policies must also give French an integral place alongside the partner languages. Last, the research potential of French-language academic streams must be promoted. The Francophonie is committed to working towards sustainable development by supporting the improvement of economic governance, capacity building, cooperation and the search for common positions in major international negotiations. It's necessary to manage durably the natural resources, particularly the energy and the water, and politics are established to make sure of the conservation of these resources with effective anti-poverty campaigns. In 2013, the United Nations Volunteers programme received a financial contribution from the Federal Public Service (FPS) Foreign Affairs, Foreign Trade and Development Cooperation of the Kingdom of Belgium for the years 2013 and 2014 to support the outreach to the francophone world and the promotion of volunteerism via its Online Volunteering service. ^ Francophonie is the name of the "French-speaking world". ^ FRANCOPHONIE 18 March 2006 Archived 6 January 2007 at the Wayback Machine, Radio France International. ^ Radio France International, 16 February 2006. ^ "La France à l'heure de la francophonie culturelle " Saisir du français pour l'imprégner de sa singularité ! "" (in French). RFI. Retrieved 28 December 2014. ^ "Journée mondiale de la Francophonie". France Inter. Archived from the original on 15 July 2012. Retrieved 5 May 2011. ^ "Former governor general Michaëlle Jean to lead la Francophonie". National Post. Retrieved 28 December 2014. ^ "Canada's Michaelle Jean chosen to lead organisation of Francophone states". Toronto Sun. Retrieved 28 December 2014. ^ a b "Summits of La Francophonie". International.gc.ca. 18 January 2013. Retrieved 18 June 2016. ^ Organisation internationale de la FrancophonieAccessed 05 May 2011. ^ "Madagascar". francophonie.org. Retrieved 27 December 2014. ^ "Mali". francophonie.org. Retrieved 27 December 2014. ^ Organisation internationale de la Francophonie. Francophonie.org. Retrieved on 2013-07-12. ^ "L'Organisation internationale de la Francophonie (OIF) suspend la Thaïlande et réintègre la Guinée-Bissau dans ses instances" (PDF). Organisation internationale de la Francophonie. 27 June 2014. Retrieved 29 September 2015. ^ Valantin, Christian (2007). La Francophonie dans le Monde 2006-2007 (PDF). Nathan. Archived from the original (PDF) on 22 June 2007. ^ Valantin, Christian (2007). La Francophonie dans le Monde 2006-2007 (PDF). Nathan. Archived from the original (PDF) on 22 June 2007. , accessed 5 May 2011. ^ "Accueil". affoimonde.org. Retrieved 28 December 2014. ^ "1e Journée du français dans les Organisations internationales". francophonie.org. Retrieved 28 December 2014. ^ "Accueil". TV5MONDE. Retrieved 28 December 2014. ^ La Francophonie dans le Monde... Larousse. 2005. ^ "Accueil". AIMF. Retrieved 28 December 2014. ^ "Operating agencies". Government of Canada. Retrieved 5 May 2011. ^ "Page d'accueil". Senghor University of Alexandria. Retrieved 28 December 2014. ^ "Senghor University". Archived from the original on 22 July 2011. Retrieved 5 May 2011. ^ a b "La voix de la diversité". , accessed on 5 May 2011. ^ "Organisation internationale de la Francophonie". Retrieved 5 May 2011. ^ a b "Programming of the International Organization of la Francophonie". , accessed on 5 May 2011. ^ "La voix de la diversité". , accessed 5 May 2011. (in French) (in English) MaVieFrancaise.org, a social network for Francophiles, Francophones and those learning French (features articles and interviews). L'Assemblée des Francophones Fonctionnaires des Organisations Internationales (AFFOI) is the assembly of French speaking international civil servants. Guadeloupe has a population of 403,977 (2012). Abdou Diouf is a Senegalese politician who was the second President of Senegal from 1981 to 2000. Diouf is notable both for coming to power by peaceful succession, and leaving willingly after losing the 2000 presidential election to Abdoulaye Wade. He was also the second Secretary-General of the Organisation internationale de la Francophonie from January 2003 to December 2014. There is no official language in Gabon, however 32% of the people speak Fang as a mother tongue. French is the medium of instruction. Before World War II very few Gabonese learned French, nearly all of them working in either business or government administration. After the war, France worked for universal primary education in Gabon, and by the 1960-61 census, 47% of the Gabonese over the age of 14 spoke some French, while 13% were literate in the language. By the 1990s, the literacy rate had risen to about 60%. International Francophonie Day is observed within the International Organization of La Francophonie's 77 member states every March 20 to celebrate the French language and Francophone culture. There are over 369 million French speakers on Earth. L’Espace Francophone pour la Recherche, le Développement et l'Innovation , or the Francophone Area for Research, Development and Innovation is an international consortium research of strengthening collaboration between North-South researchers and experts. This organization was created in 2008. This is a list of the member states of the International Organisation of the Francophonie. These countries belong to an international organisation representing countries and regions where French is the first ("mother") or customary language, where a significant proportion of the population are francophones or where there is a notable affiliation with French culture. The Assemblée des francophones fonctionnaires des organisations internationales (AFFOI), French for the Assembly of French speaking international civil servants, is a global network of French-speaking international civil servants. Dominique Hoppe is the current President of the Assemblée des francophones fonctionnaires des organisations internationales (AFFOI).